CEO Tim Cook has rushed to issue a memo to employees declaring that Apple is not a racist company. 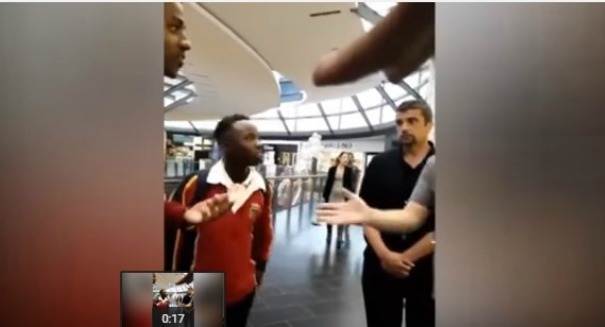 The shocking video of white Apple store employees in Australia ejecting black teens from their store because they were afraid they might steal something has prompted CEO Tim Cook to go into damage control. Video emerged of several black teens being asked to leave an Apple store in Melbourne after one of the workers said on the video he was concerned they “might steal something,” prompting outrage online, according to a CNET report. It comes at a bad time for Apple, which is trying to shed its image as a non-diverse company that employs mostly whites. Apple made a move to address that within its executive leadership team in October when it added former Boeing CFO James A. Bell, who is African-American. It also added another African-American, Denise Young Smith, to its executive leadership page last August. Cook called the Melbourne incident an isolated one, and pledged that the company would “learn and grow” from it. Cook said in the letter: “I’m sure you are all aware of the unacceptable incident which took place at our store at the Highpoint shopping center in Melbourne, Australia, on Tuesday,” he wrote. “Several young men, who are students at a nearby school, had been asked by a security guard to leave the store. In an attempt to address the situation, one of our store employees gave an answer which shocked many of us.